There are many causes for anxiety and depression, but there are a myriad of ways to manage it. Yoga is highly recommended by mental health professionals for battling the effects of these disorders because of its ability to soothe and restore the mind and body. Try some of these yoga poses, routines, and self-care options and see the positive ways they fight these chronic disorders. Since there are so many types of yoga, a lot of students are caught up on trying to find the “right kind” to calm their anxiety and limit their depression. There isn’t a wrong kind! If you’re on your mat doing yoga, that’s enough to get your blood flowing, your oxygen levels up, and your vital organs stimulated. How exactly does yoga reduce stress? Inflammation in the body, especially the brain, is an unavoidable effect of being chronically depressed or anxious, and it contributes to other health problems like high-blood pressure and heart disease. These restorative yoga poses stimulate your vital organs, increase the oxygen supply in your brain, and relax muscles that are tense from stress. If you’ve been diagnosed with depression or anxiety, your health care providers have surely told you to add regular exercise into your daily routine. They aren’t just giving you this advice to help you stay at a healthy weight, meet supportive people, or to keep your mind off of your disorders. Exercise, especially yoga, is proven to be exceptionally beneficial in managing the day-to-day effects of depression and anxiety. Multiple studies show that there is very high “therapeutic effectiveness” in doing yoga and meditation as complementary treatments for anxiety alongside cognitive behavioral therapy and SSRI medications. That doesn’t give you permission to skip daily meditation, though! Mindful meditation and restorative yoga have incredible benefits for treating depression alongside medications and behavioral therapy. Adding a restorative yoga sequence into your daily routine can greatly improve your self-esteem, energy, and overall sense of well-being. Give this simple sequence a try at least once a day, and hold each pose as long as you need. If you have a teenager who suffers from long-term anxiety, have you looked at managing their stress? A study performed on junior and senior high school students evaluated the effects exercise and yoga had on the teens’ mood problems, anxiety, and anger expression. Half of the students went on to do a regular PE class that incorporated Kripalu yoga while the other half took normal PE classes. The research discovered that the teens who took the yoga-centered PE class scored much higher on psychological tests at the end of the study, and the students who did the regular PE class scored worse. Teenagers can be hard to get out of bed, so encourage yours to try soothing restorative poses they can do in their own bed. These are easy to do, don’t feel “too” yoga-like for those uber-skeptical teens, and they can also help get your teen into bed a bit earlier! Panic attacks are a very real reality for millions of people, and they have a knack for striking without warning and at the most inconvenient times. After a while, the warning signs become fairly apparent to many people, and there are tools to help ward off a full-blown panic attack. Hyperventilation is a common component of an anxiety attack, and it can increase anxiety because you feel like you’re being suffocated and unable to breathe. If you feel like a panic attack is coming on, give square breathing a shot. Inhale deeply for four seconds, hold that breath for four seconds, then slowly exhale for another four seconds. Counting out your breaths takes your mind off of what’s inducing the panic, elevates your oxygen levels, and forces you to relax through your diaphragm. Breathing deeply into your belly stimulates your vagus nerve to remind your brain you aren’t in danger. 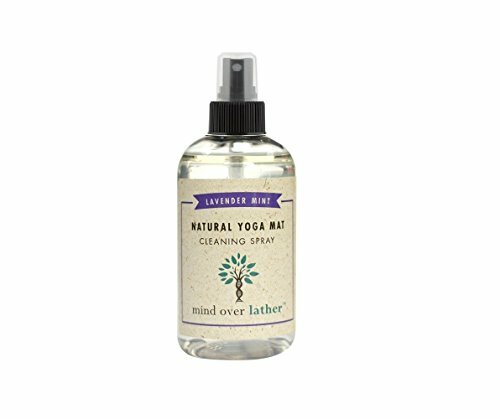 Have you ever been spritzed with an essential oil blend in yoga? Sometimes it’s just the smell of the oils wafting through the room that are enough to send you into a state of deep relaxation. Herbs have been used for thousands of years to treat various ailments, and while essential oils are never a replacement for mental health therapies, they can be a great addition to your treatment plan when used properly (never ingest essential oils or apply them topically without a carrier oil). Lavender shows to be the most effective, and research studies showed it significantly lowered the anxiety in patients who were about to undergo coronary artery bypass surgery or visiting the dentist. Ylang ylang has been used in eastern medicine for centuries, and it’s quite good at fighting depression by inducing feelings of optimism and cheerfulness. Yoga and the lifestyle surrounding your practice have the incredible potential to help you start the processing of healing your soul as you manage your anxiety and depression. The simple act of taking time for yourself and nourishing your body and spirit has a profound impact on your ability to manage anxious feelings and depressive episodes. 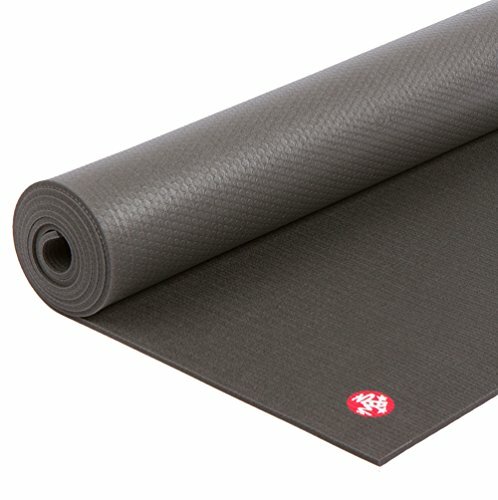 Unroll your mat and embrace everything your yoga practice has to offer. It’s truly unlimited.